German interculturalist Sven Dinklage, who has lived in Brazil since 1998, noticed that intercultural sensitivity could be improved in the society as a whole, perhaps most importantly in the country’s hotel and tourism sector. Brazil’s tourism professionals are highly motivated and good willed, always ready to offer a generous smile to tourists. But their lack of cultural awareness causes misunderstandings that can have a direct impact on the satisfaction of foreign guests and lead to a loss of profit. 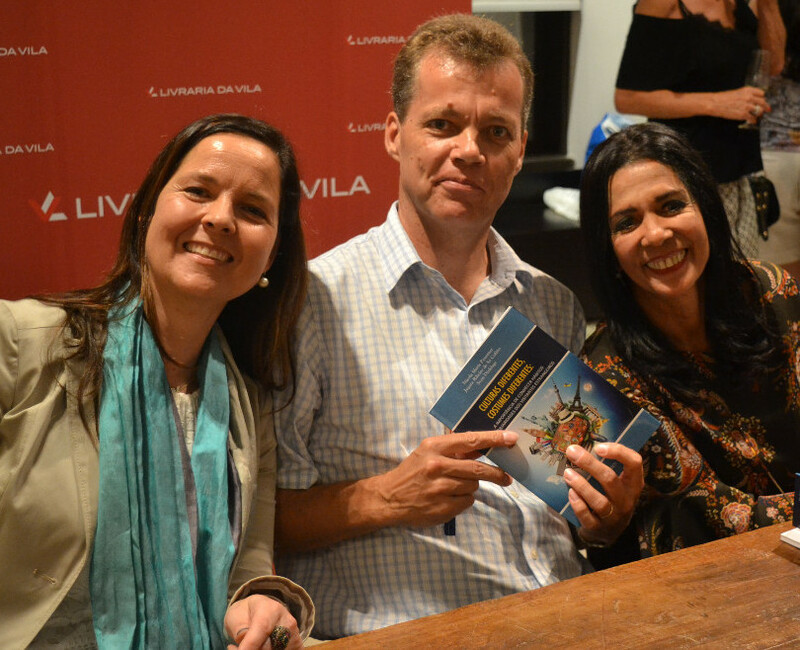 To remedy this problem, Sven, Nicola Maria Peuntner and Juçara Ribeiro de Sá Cofiño, co-authored a book called Different cultures, different customs: The importance of knowing peculiarities and habits of foreigner visitors,* which was launched in February. Written in Portuguese, the book is a product of Sven’s over twenty years’ experience working with foreigners from many cultures. Before moving to Brazil, he worked in a consultancy that offered this kind of training to the hotel sector in England. Like England, Brazil is a country where only one language is spoken. Relatively few Brazilians travel abroad, so the nationals tend to be mono-cultural, which can lead to miscalculations. What are some of the examples of inappropriate behavior that Sven noticed? Generally speaking, Brazilians are very tactile; they pat each other on the back as a sign of friendliness. Particularly in restaurants, the staff sometimes touch the foreign guests’ children, which is not always welcome. The same goes for smiling: in Brazil everyone smiles a lot, but not every culture values a friendly smile. Another challenge is the locals’ level of foreign-language proficiency. Brazilians tend to pronounce unfamiliar words and names as if they were Portuguese, making them unintelligible to foreign guests. Another, smaller problems is that Brazilians offer guests coffee and are unaware that some people prefer tea, which is not common in their own culture. *A importância de conhecer hábitos e peculiaridades dos visitantes estrangeiros, published by Pontes Editores in Campinas, Campinas, Estado de São Paulo, Brazil. Born in Germany, Sven Dinklage studied in Germany, Oxford, Madrid and Paris, graduating with a European Master of Management degree in 1997. After a number of years managing projects in marketing, sales and strategic planning, Sven now dedicates his time to working as a human resources consultant and trainer. He delivers management development workshops, cross-cultural trainings and team-building events for leaders taking on complex global roles. He also runs his own intercultural company, Flexpert Training in Campinas/SP, Brazil.